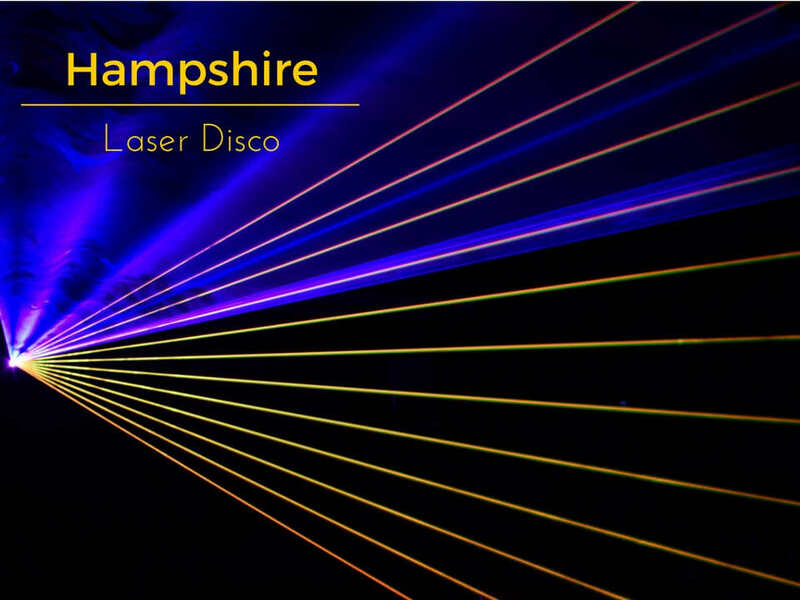 Hampshire Laser Disco – Creating Excitement Through Laser! 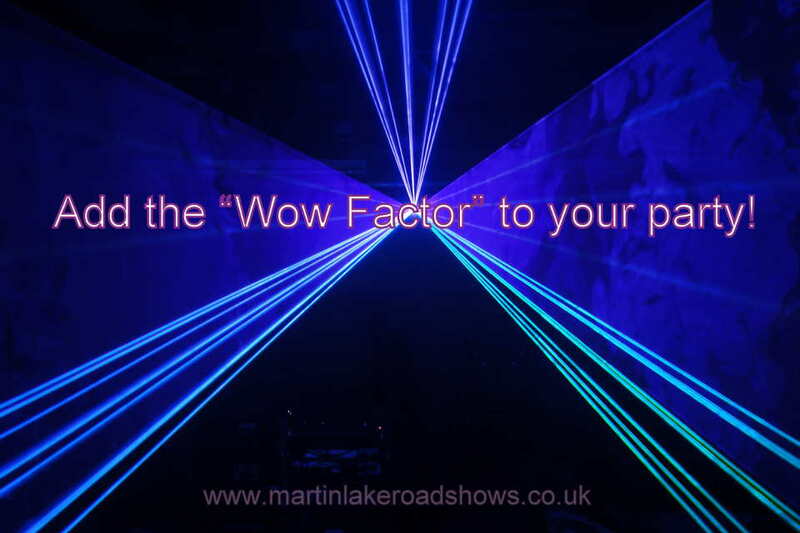 I can add my amazing show quality laser to any of my disco shows for weddings and parties across Hampshire. You can wow your guests with this mesmerising effect which gives the lightshow an extra dimension and takes the party to another level. 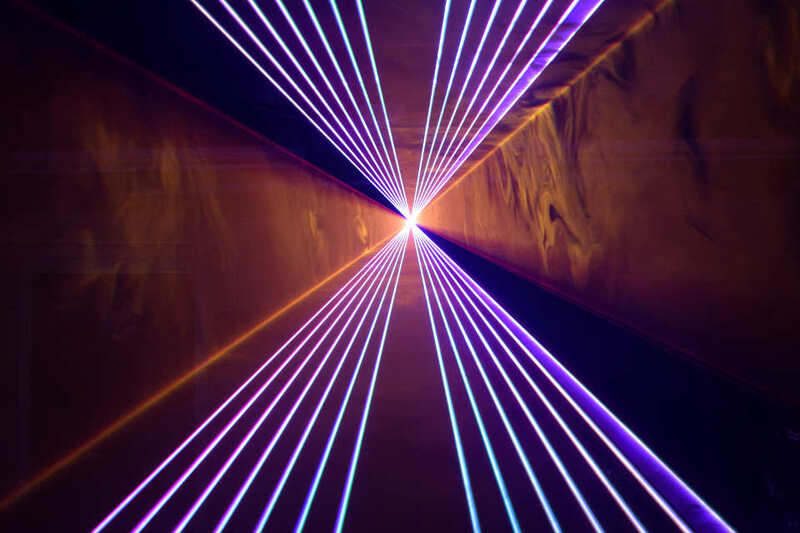 There is something magical about laser light with it’s very bright vibrant coloured beams scanning around the room which can project dancing animation on the walls and personalised messages in precise detail. Guests cannot resist reaching their hands high in the air and touching the liquid sky effect projected above their heads. 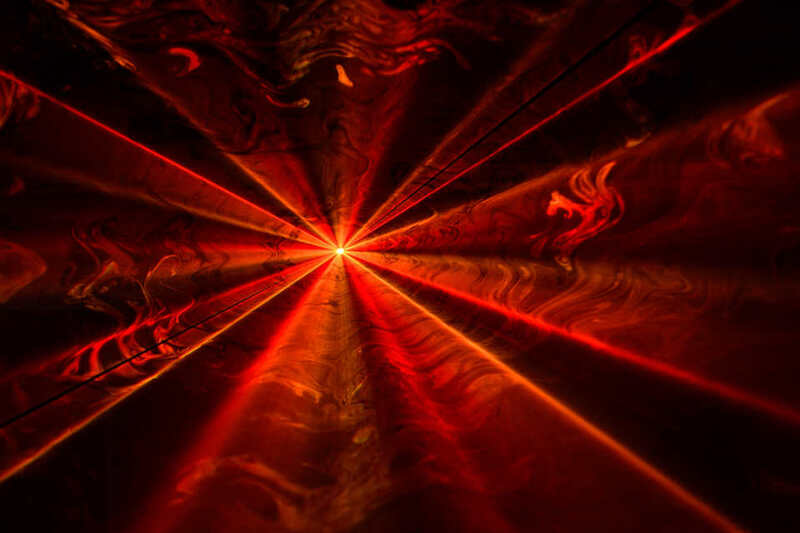 A Lot Of Discos Use Lasers, Why Is Yours Different? 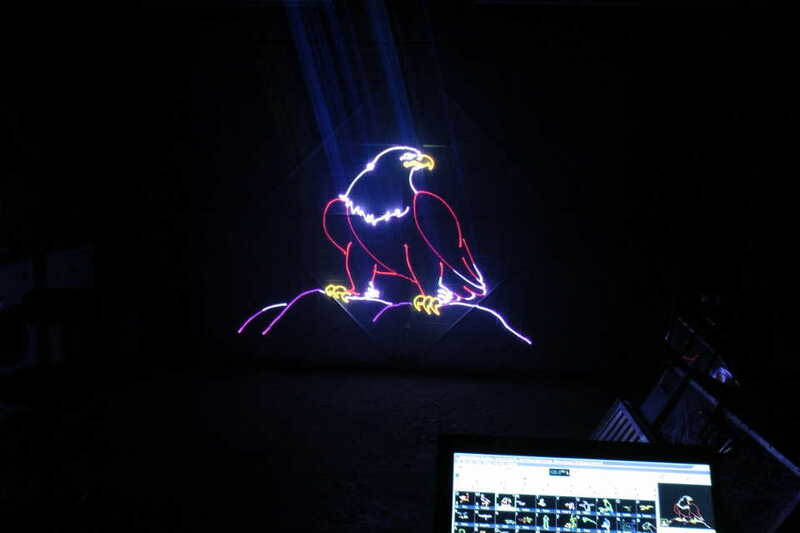 I use a professional Swisslas PM1800 RGB laser and Pangolin software to operate it which cost over £2000 and cannot be confused with cheap Chinese lasers. 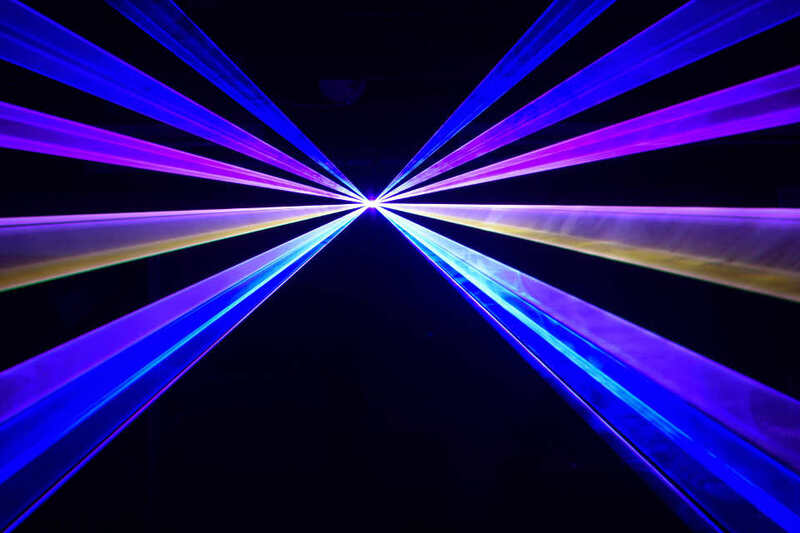 The difference is in the quality of the component’s, the laser diodes and the speed of the quality scanners which create very smooth movement, high precision and very bright beams that produce stunning colours. 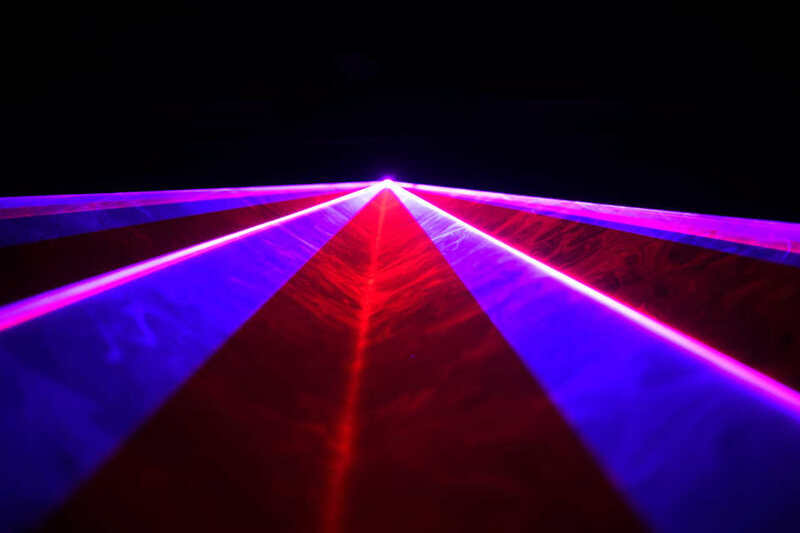 You can buy cheap lasers from about £300 upwards and there is absolutely no comparison. 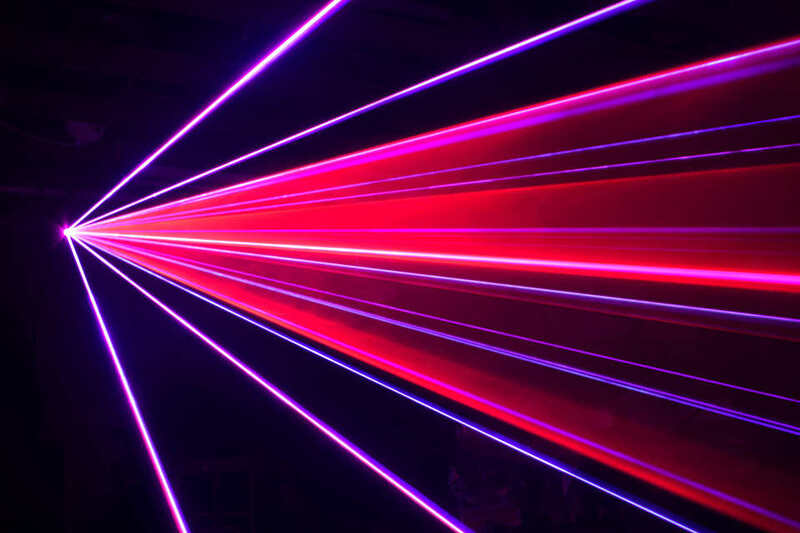 They will have far slower scanners making the images jerky and the laser light flicker, they will also not be as bright or have the stunning range of colours. 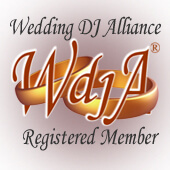 I can write personalised messages on the wall… maybe a congratulations message and your new married names during your fist dance or a Happy Birthday message from all of your family and friends. 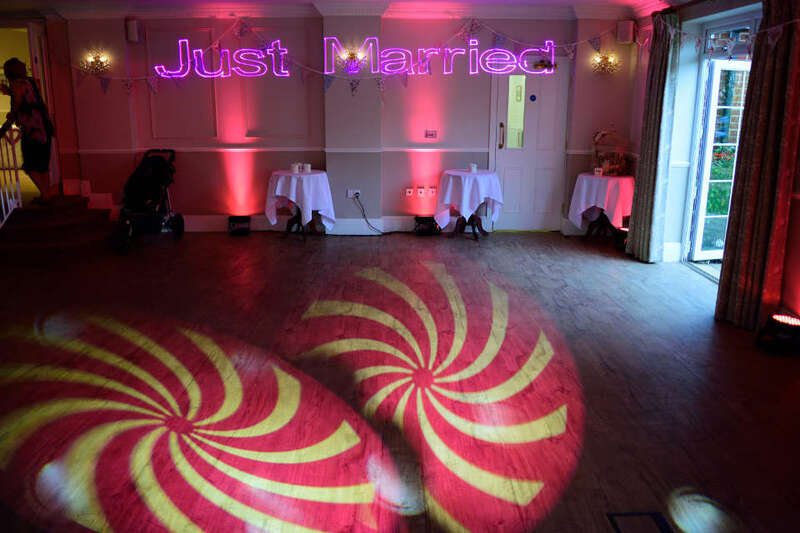 Whatever the occasion, It’s a great way to personalise your wedding of party. 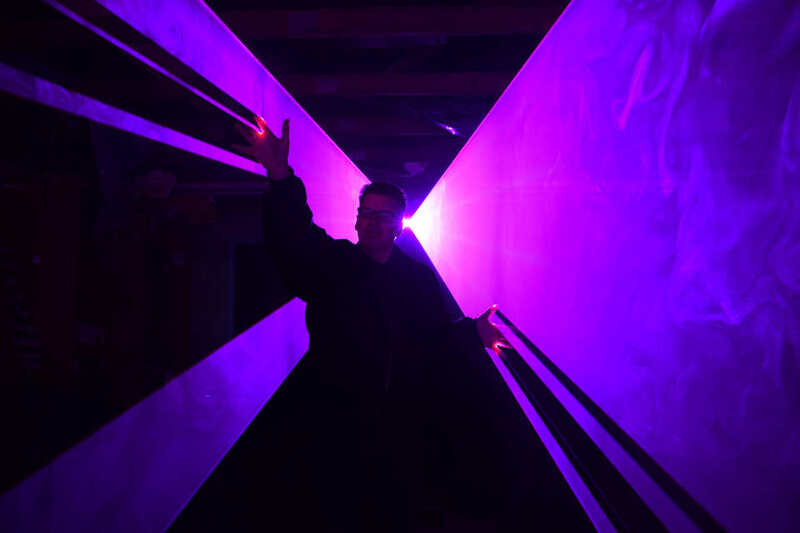 I can project animation on the wall which dances in time to the music, it may be a breakdancer or John Travolta during a dance set, love hearts flying around at a wedding or a full blown Halloween laser show with flying bats at a Halloween party. What If The Venue Do Not Allow Haze? There are quite a few venues that do not allow a haze machine to be used as they can set off the venues smoke alarms. 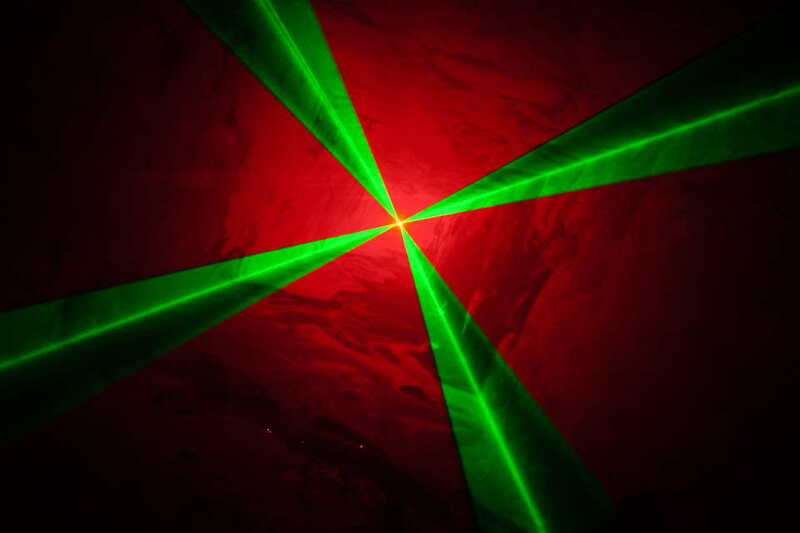 You need haze to show up the beams in mid air but the laser is still effective without haze as you see all of the patterns on the walls and ceiling which will be very bright. 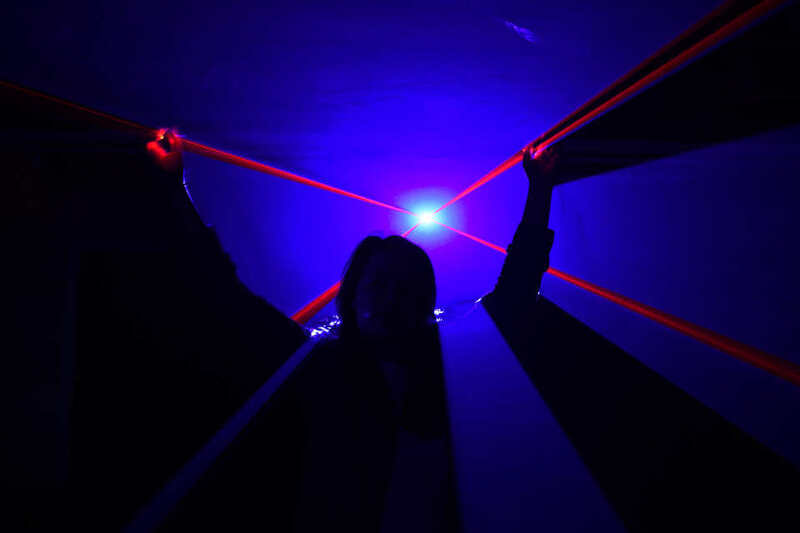 Dancing animation and laser messages can still be projected on the walls to great effect. 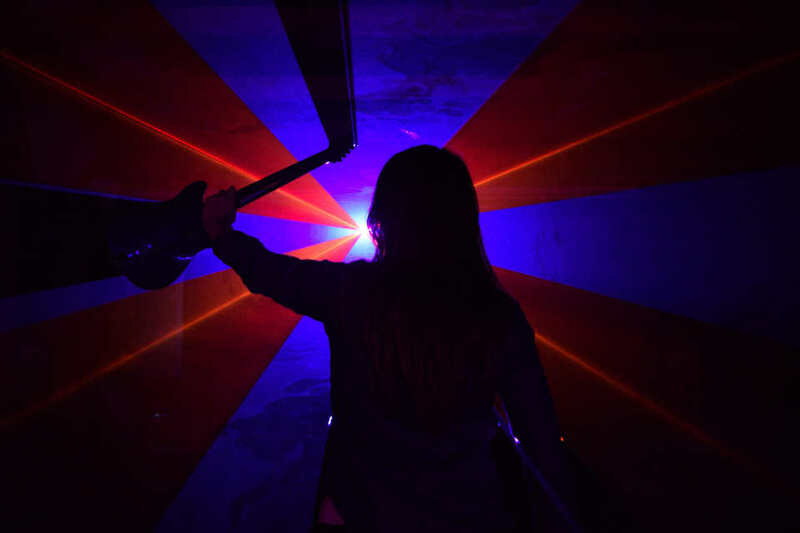 A quick demo of the sort of animation that can be projected onto the walls or ceiling which makes the laser effective even in venues that do not allow a haze machine.